I’m so excited to be guest posting on Juggling Act Mama today! I have the coolest project for you! I’m sharing a tutorial for Tin Can Stilts! (Bring back memories? It’s that awesome classic toy you used to play with as a kid.) The best thing about this project is that it is easy and uses tools that you probably have on hand already. 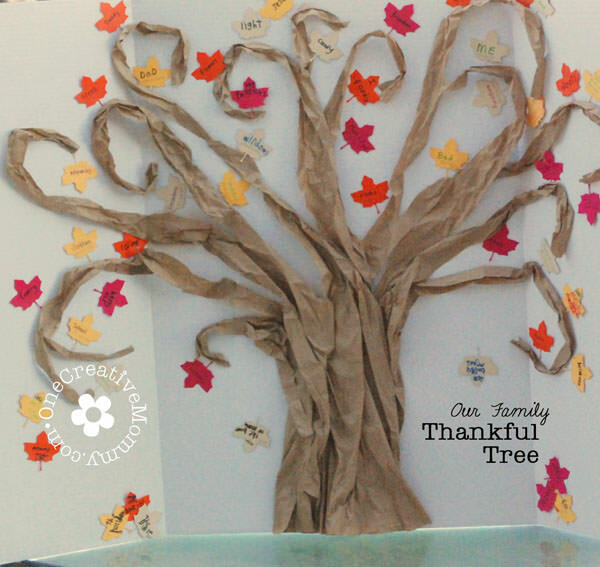 This is definitely a recycle or repurpose project perfect for frugal parents! Before I send you over to my guest post, I have to tell you a little secret. I did not go all out and overboard with this project (and I’m actually quite proud of myself!). Could I have painted the cans to make them look all cute and colorful? Yes. Did I have the time or supplies to do that? No. 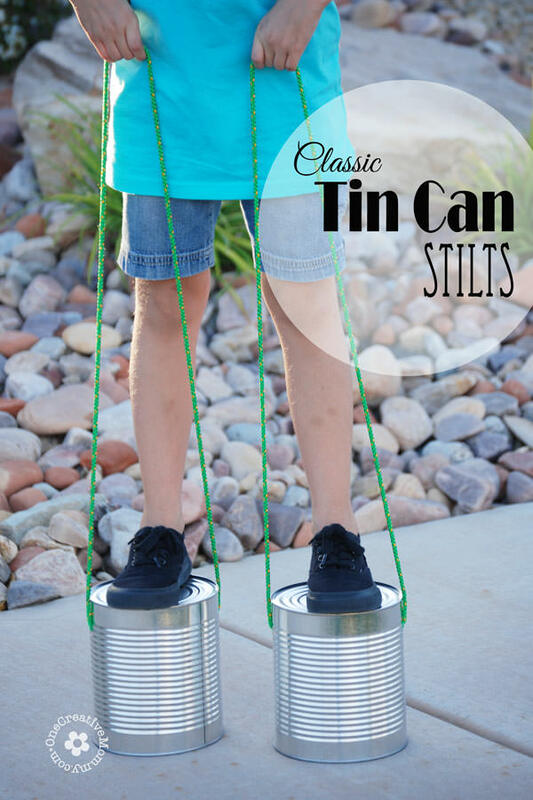 Will my kids love the tin can stilts just as much when they are just plain old boring cans? Absolutely! I’m learning (the hard and slow way) that my kids don’t need everything to be fancy. Often the fancy is just for me. This time, I opted to forego the fancy and keep it simple. I’m so glad I did. Still here? You might be interested in some of the tools I used for this project. My favorite are the C clamps that my hubby bought for our garage makeover. You can open and close them with one hand! Seriously, they’re right up there with my Kreg Jig on my list of coolest tools! Love them! 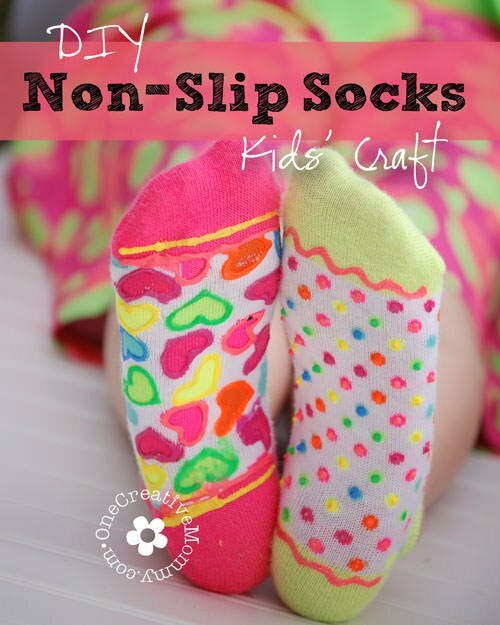 Looking for more Crafts for Kids? Check out some of these. Images below are linked. Love and appreciate the sidebar Heidi! Kids totally don’t care how “neat” and awesome things look. Well, they might initially with the “this is so cute!” but for something you’re clomping around on, they are pretty much awesome without some cool paint job. :) It’s always important to remember to KISS – Keep It Simple, Stupid. lol. Thanks, Katelyn. It was definitely time for me to scale back! I saw this post over at Juggling Act Mama and thought it was awesome! Thanks, Melanie. The kids are really having a great time with them. Great and frugal idea to keep your kids occupied. Thanks for linking up at the Bloggers Brags Pinterest Party. Thanks, Monique. I always love linking to your site each week. I loved tin can stilts as a kid! Thanks for sharing! Me, too, Brittany. It’s fun to share it now with my kids. Love these! I’m scheming how to get my own big cans. I’ll check with my hubby to see how they do coffee at work. And yes, you’re right about not needing to make everything fancy! What a great kid craft! love it! Thanks, so much, Angela. My kids are loving them. These are adorable and so much fun. Emma would love! Thanks, Heather. I hope Emma does love them! They’re really fun. Thanks, so much, Mitzi! I thought about having races, but it seems a little dangerous! My mom totally made these at one of my birthday parties as a kid. This post brought back many memories! I’m glad, Amanda. It’s fun to do an old-fashioned project with the kids. I love this post Heidi! This post brought back some really fond memories! Thanks so much, Jennifer. It’s a great toy for kiddos (and maybe teens!). This really is brilliant! 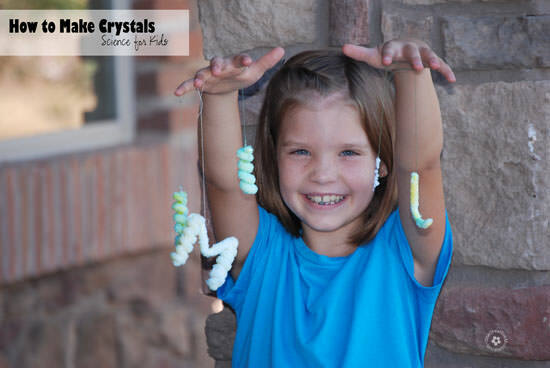 Kids need to get back to some of the basics – this is a great way to do that! Thanks for coming over and linking up at the #HomeMatters Linky Party! We’d love to see you again this coming Wednesday! Thanks, Kristin. I always love linking at your party! You truly are the most creative person!! Love this idea, thanks! Thanks, so much, Megan. The kids loved thme. Oh my goodness!! My mom would make these for me ALL THE TIME growing up! I had forgotten all about them. ;) Thanks for making me smile & for linking up at GF & DIY Tuesdays. It brought back a lot of happy memories! Glad I could bring back a good memory, Megan. I remember playing with these, too.